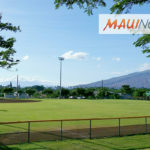 Maui Now : Ask The Mayor: Where Do I Recycle an Old Car Battery? Q: Where do we recycle old car batteries? We asked several recycling places if they take and the answer was no, and they didn’t know where we could drop them off. We asked friends and colleagues and we received false and wrong answers. What do we do? A: My staff contacted several businesses and found most auto parts stores recycle lead-acid car batteries for free. If you have more than a few car batteries, though, they asked that residents call ahead of time to make an appointment. Store locations include E&H International, NAPA Auto Parts and Interstate Batteries. Starting this month, the county Department of Environmental Management’s Environmental Protection and Sustainability Division is hosting a series of hazardous waste collection events in East Maui and on Lānaʻi. 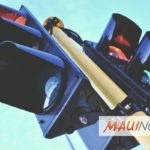 East Maui residents will be able dispose of old car batteries at the Hāna Landfill from 8 a.m. to 2:30 p.m. on Feb. 28 to March 2. Other acceptable items include large appliances, up to 15 auto tires, propane tanks and scrap metals. Accepted appliances include refrigerators, freezers, A/C units, water coolers, washers, dryers, dishwashers, ranges/stoves, and water heaters. Electronic items include computers, monitors, printers and TVs. Lānaʻi residents also may dispose of their old car batteries at the Pūlama Lānaʻi Fleet Yard from 8 a.m. to 2 p.m. on Feb. 16. Other accepted items include refrigerators, freezers, washers, dryers, microwaves, water heaters, A/C units, tires, household appliances, propane tanks and scrap metal. Electronics are not accepted. 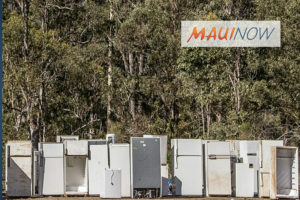 Molokaʻi residents may deliver auto batteries, scrap metals, large appliances, tires, and propane tanks to the Molokaʻi Metals Facility located at the Molokaʻi Landfill during regular business hours from 8 a.m. to 2:30 p.m. Tuesdays through Saturdays. It’s vitally important that we recycle our car batteries since nearly 90% of all lead-acid batteries are recycled. 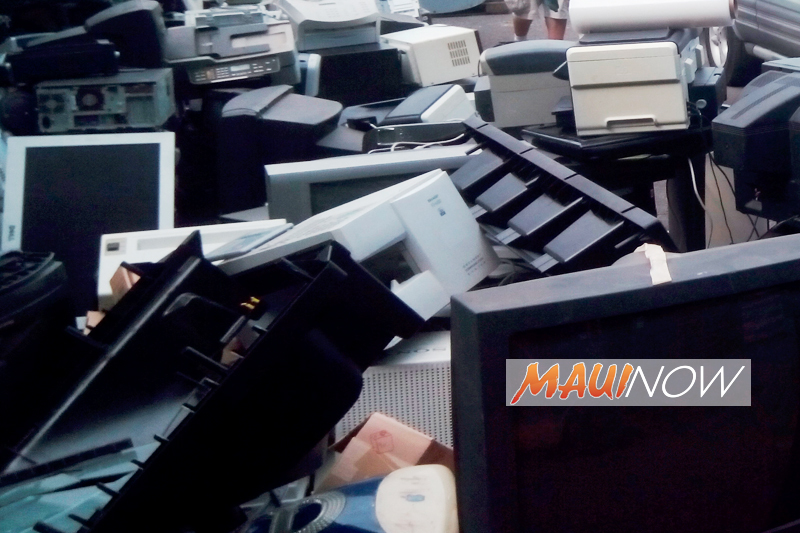 For more information about these county recycling events, please call the county Abandoned Vehicles and Metals Office at (808) 270-8217 or visit www.mauicounty.gov/eps.